The School of Religion equips students for a variety of professions as pastors, chaplains, teachers, archaeologists, language scholars, and many more. Southern Adventist University’s School of Religion has comprehensive programs in theology and pastoral care. A large percentage of religion graduates are hired within a few months of graduation. Southern’s undergraduate program in archeology is one of only several in the entire country and one of only two offered by a Seventh-day Adventist college or university. Southern's Near Eastern Studies (archaeology) curriculum is one of only three such undergraduate programs in the United States that instruct from a biblical perspective. The missions major prepares students to serve as cross-cultural or hometown missionaries. The curriculum is highly practical, with four preaching classes and three evangelism classes (more than any other North American Division school). 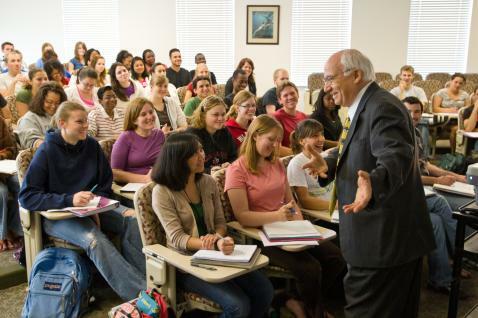 Approximately 200 undergraduate students are pursuing religion degrees at Southern, the largest number of any Adventist school. Junior and senior theology and pastoral care majors spend two years with a local mentoring pastor at a nearby church in an externship program. Religion majors are eligible for several designated scholarships. Campus ministries opportunities allow for leadership early in a student’s college career. Malaysia, Mexico, Romania, South Africa, Venezuela, Madagascar. Overseas evangelism trips are partially funded for the students by the Robert H. Pierson Institute of Evangelism and World Missions. Religious education majors teach throughout the entire Southern Union Conference. 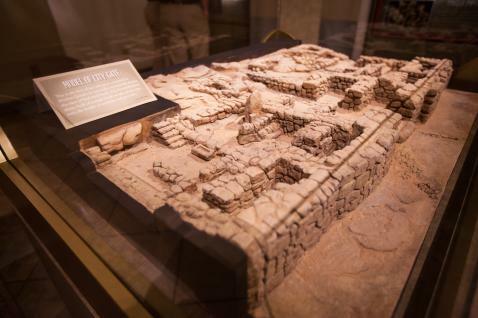 The Lynn H. Wood Archaeological Museum Lecture Series hosts leading experts from around the world on the history and archaeology of the ancient Near East. The Gerhard F. Hasel Lectureship in Biblical Studies hosts biblical scholars from other Christian faiths to present the continued validity and relevance of scripture. At the Student Scholarship Symposium sponsored by the Schools of Religion at Southern Adventist University and Oakwood University, students gain experience in research and sharing papers in scholarly meetings. The Student Ministerial Association organizes social and spiritual activities while providing leadership opportunities. Other student organizations include Preach the Word Ministries, Bible Workers’ Club, Canvassers for Christ, and the South East Youth Conference. SALT: Soul-winning and Leadership Training is designed for individuals from any career or major willing to dedicate one semester to intensive evangelism training. Offered in partnership with It Is Written, participants experience the thrill of soul winning while attending top-quality, Bible-based classes and completing Bible worker certification. The School of Religion houses the Lynn H. Wood Archaeological Museum, which has the best teaching pottery collection in the United States. Students have access to the William G. Dever Research Library, a valuable professional resource for the study of ancient Near Eastern history and biblical archaeology. The School of Religion is home to the Evangelistic Resource Center, which, along with the Robert H. Pierson Institute of Evangelism and World Missions, trains and sends out dozens of non-religion majors to evangelize in the United States and abroad each summer. Archaeology students have the opportunity to gain field experience in Tel Lachish, Israel, the second most important city in Judah after Jerusalem. 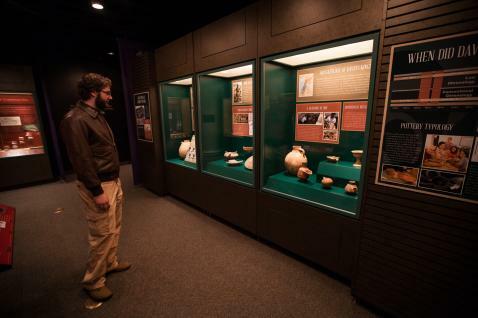 The School of Religion houses one of the best museums for ancient Near East artifacts in the Southeast. Pastoral care majors can obtain a Clinical Pastoral Education (CPE) unit prior to graduation. Two partially endowed chairs, the Ellen G. White Memorial Chair and the Clarence and Elva Reynolds Chair, provide additional faculty support to students and ensure excellent instruction. The Institute for the Study of Ellen G. White and Adventist Heritage was inaugurated in 2010. 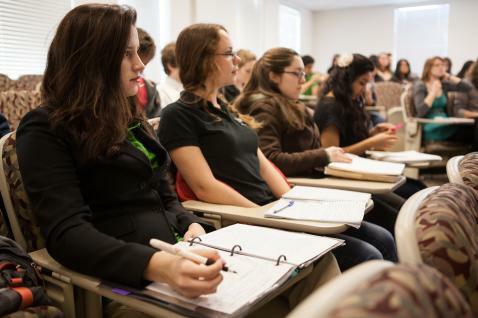 The School of Religion has approximately 175 undergraduate students taking one of its majors. A large majority of religion majors have either gained employment or gone on to graduate school immediately following graduation. The School of Religion is located in Hackman Hall in the center of campus. The Lynn H. Wood Archaeological Museum, Dever Research Library, and Evangelistic Resource Center also are housed in Hackman Hall. Seminary faculty consistently report that Southern’s School of Religion graduates are well prepared for their academic work in the Seminary. School of Religion graduates have a high rate of success in being quickly placed in local conference positions, based on their strong spiritual commitment and leadership skills. Graduates have successfully planted churches, taking on an exciting but difficult work.